VAT will roll out in GCC countries from 1st January 2018. Is your institution ready for it? 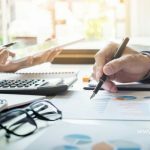 This blog has been prepared to provide a general overview of why the VAT has been introduced in GCC countries and how the VAT will affect the education sector in different countries. Along with that in end, you will get to know that how the Fedena can help your institution with VAT related operations. Gulf countries are well known for their abundant stores of crude oil, which is the reason their economy has always been largely dependent on the energy sector. Evidently, the hydrocarbon sector constitutes around 40% of their total GDP. During the span 2011- 2014, oil revenue accounted between 70-80% of government revenue. The recent decline in oil price has resulted in the fiscal deficit, which has had a large impact on the GCC (Gulf Cooperation Council) countries’ budget. The existing tax system is comprised of low tax rates and narrow tax base, which isn’t to par for reducing the budget deficit gap. To balance the economic condition and to reform their income source, the government of GCC countries decided to introduce the VAT (Value Added Tax), which will be a substantial source for government’s income to bridge the budget gap. VAT (Value Added Tax) is a tax on consumption of goods and services that is borne by the final consumer. This would result in a robust source of government income. VAT registered businesses that supply goods and services are subject to either standard rate of 5% across the GCC or zero-rated charge to the customer, but the businesses can claim a credit for VAT paid on their purchase (also termed as input tax). On exempt goods and services, VAT cannot be reclaimed and the businesses have to pay standard rates. Countries like UAE (United States Emirates) and KSA (Kingdom of Saudi Arabia) is going to implement VAT from 1 January 2018 at a rate of 5%. Other countries have yet to make an announcement of the implementation date. For most of the businesses, the VAT would be charged at 5%, but some sectors like healthcare, education, food and financial service are treated differently in each country. The UAE government states that for nurseries, pre-school, elementary schools and higher educational institutes, owned or funded by the federal or local government, the supplies of education services and good and services will fall under zero-rated VAT. But for other educational institutes which are not mentioned in the aforementioned list, they have to pay a standard rate of 5% VAT. The KSA government GAZT (General Authority of Zakat and Tax) outlined that the educational services are not exempt from the VAT and aren’t zero-rated. The education sector has to pay a standard rate. In most of the countries across the world, the educational services are exempted from the VAT. 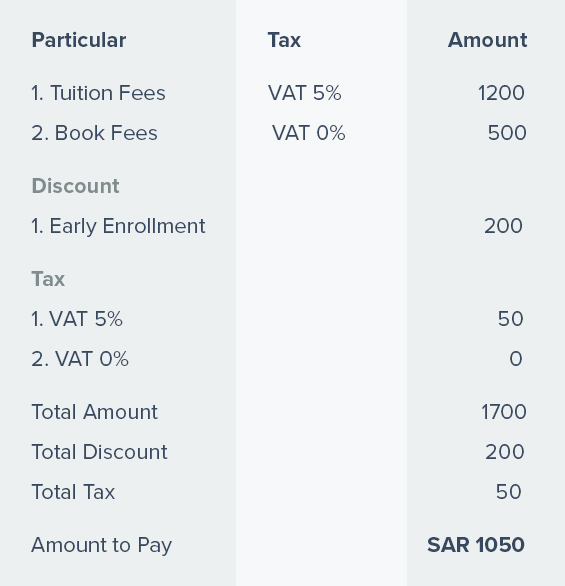 With the context of GCC countries, not all the educational services fall under the zero-rated VAT. Food and accommodation to students. But these rates on educational services varies from country to country. According to VAT framework agreement in GCC, individual nations have an ability to choose which VAT rate they would like to impose on the education sector. They can choose from either zero rates, standard rate or are fully exempted from the VAT. Each type has their side effect on the education sector. Let’s see the scenarios when educational services fall under zero-rated VAT vs when they are exempted from the VAT. 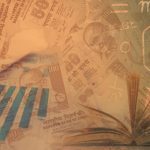 Zero-rated tax directly affects the education provider, let’s take a scenario where their invoices, refund claims are not managed properly then they might face the cash flow issue. In such scenarios the education provider and education receiver both will get affected. As the provider will not be able to recover the VAT that is incurred on their expenses on the exempt supplies. In these cases, to cover the expenditure and maintain the profit level the provider might raise the educational fee which will directly affect the learners. In coming days a new version of Fedena is going to be released which would include range of services to address the various elements of VAT. Fedena can easily differentiate, which type of fee falls under zero rate VAT and which doesn’t. 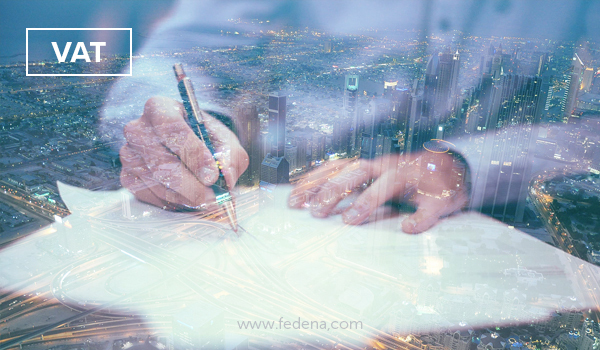 Fedena has evolving day by day to simplify the complex operations of an institution. It is a modern ERP software which automates your institution processes and grows your institution productivity to the next level. Various modules available in Fedena are an admission, batch and classes, finance, fee structure, communication, transport, bulk data management, examinations and many more. The new GCC VAT ready version of Fedena will release next month so that our GCC region institutes, hassle-free manage the VAT rates evaluation in their finance structure.